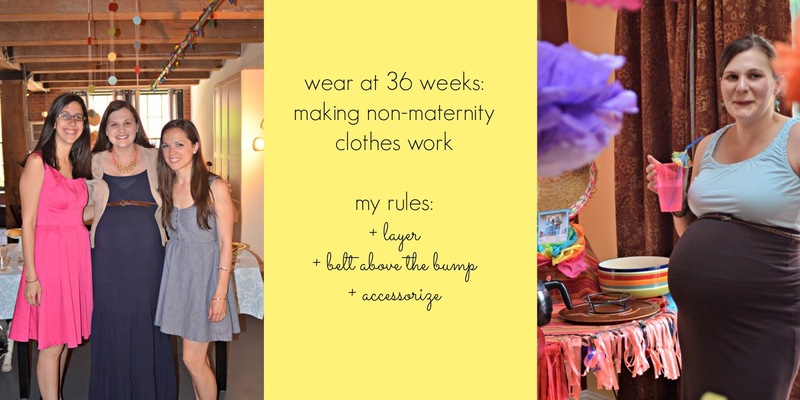 I'm guessing it's pretty common at this stage to be tired of wearing maternity clothes. Over the weekend, there were two baby showers to celebrate Baby G and I ended up wearing non-maternity clothes to both. The blue dress actually fits me better with the baby bump because the dress is so long. Due to the tiered bottom the dress is pretty heavy, but I've really loved wearing it the past few weeks. The skirt and tank combo worked much like a high-low dress, coming over the baby bump and hanging a bit lower in the back. 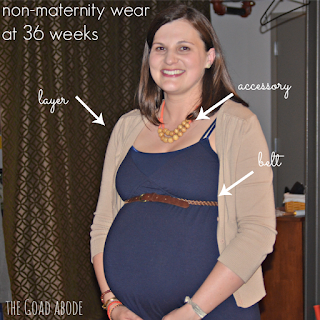 Do you have helpful tips for making non-maternity clothes work in the third trimester? I love your look at the salsa shower! You are glowing! aha congratulations honey, you are each day more beautiful! i agree with the non maternity clothes! 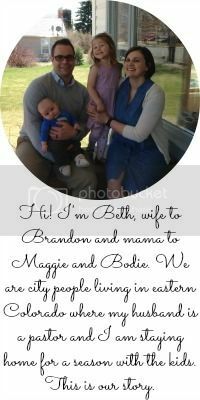 and it's easier in the summer with maxi dresses and skirts - that is all I wear now! You look awesome!! I think the belt is key in pregnancy.